A lot of games these days feel it necessary to explain themselves, whether or not it’s something truly important or appropriate. This same thing goes on at trade shows and conventions at E3. Thanks to nindies@home, Nintendo is giving gamers a chance to play interesting indie games featured at conventions without the convention, and this is something that forma.8 strongly benefits from. Developed by Mixed Bag, forma.8 gives you no clue as to what’s going on. At first glance, it looks like just another 360-degree 2D shooter with colorful visuals. While it definitely has a resemblance to games like PixelJunk Shooter, the gameplay is hardly a similarity. 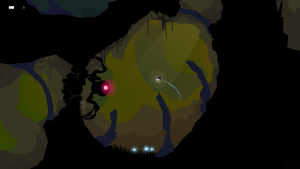 Players take control of a little probe that takes up maybe half a percentage of the screen. All it does is move around the map, avoiding hazards a long the way. The tap of a button activates a shield, which can also vaporize incoming dangers. 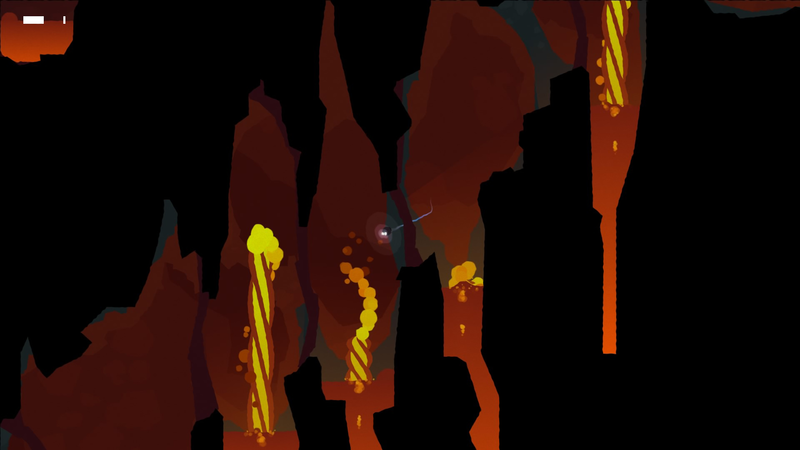 Eventually, you have access to bombs that can be used to blow up cracked environments, but that’s about it. There’s no shooting of any kind, at least not any that was made available in the demo. As I progressed through the level, I came to a red-eyed machine that activated its own shield to keep me from moving forward. I had no idea what to do, so in my frustration, I just rapidly pressed every button on the GamePad, whether or not they functioned anything. So when I laid a bomb down and used my shield, the bomb landed in just the right place to clear the way, allowing me to move forward with this information all the way to the end of the demo. 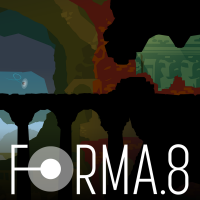 forma.8 is a game that’s going to require a lot of patience from gamers when it comes out, both due to how slow it is and how it doesn’t explain anything. I do like the fact that it didn’t hold my hand, but at the same time, the demo doesn’t do anything to make me want to spend $15 on the game when it comes out this fall.